First, the Timing Software makes all calculations and data ready. 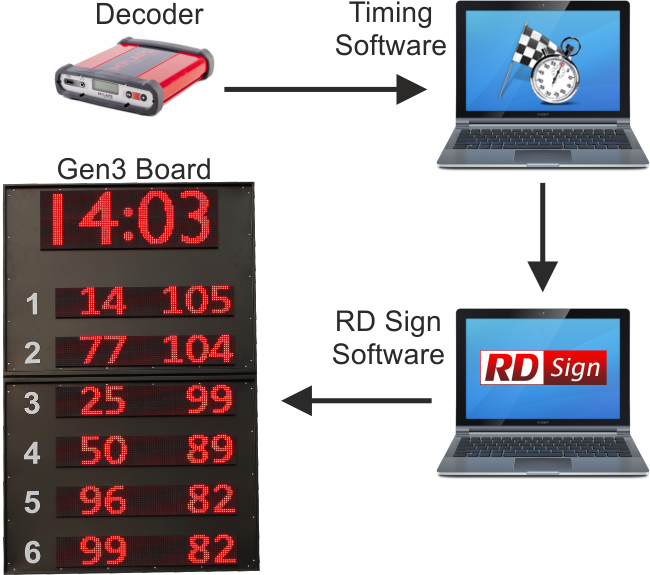 Second, the free RD Sign Software computes all the data and sends the chosen information on to the Board. It looks simple, because it is simple.